Tokyo Dining and its sister Tappan Edo (Hibachi grill dining at its best) occupy the visual high ground in the Japan Pavilion. 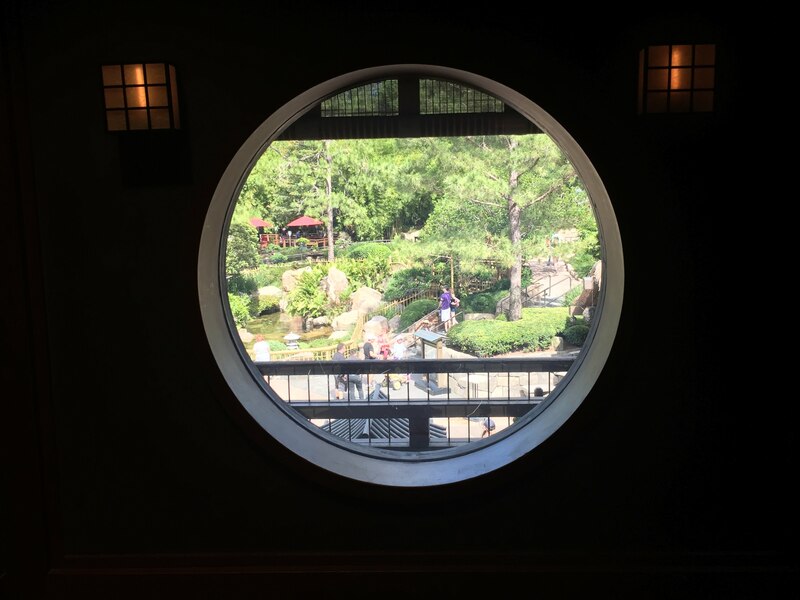 I cannot tell you how many Mochi balls I have consumed sitting on that epic staircase watching the Matsuriza drummers, or just enjoying the aura of peaceful contemplation that seems to permeate this pavilion more than any other. I gird my financial loins before stepping through the door. 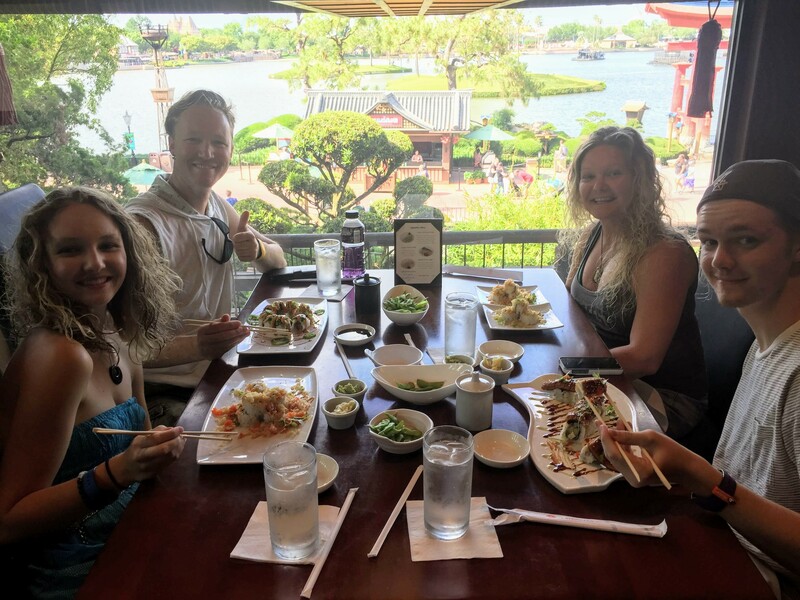 Sushi is, after all, one of the most expensive dining options, the fact that it resides in a theme park makes it even more so. Reservations are highly encouraged, though there are worse ways to spend a hot afternoon than sitting in the waiting area with the amazing views afforded at every angle. Pay particular attention to how different scenes are framed perfectly for the viewer. Of course the coup de grace, watching Illuminations, or whatever show will follow, is a tricky combination of timing your reservation, slow rolling your ordering and eating. Realize that if you book a 6 p.m. reservation, it would be poor manners to stake out your table for three hours. The service is impeccable. Moreso than in any other land, I feel acutely foreign in Japan. I fumble like a child to match the bows and try to accept each handed item in the appropriate manner. I do often wonder if this is accentuated for Epcot, after all, I don't wear a tricorn hat regularly and, having traveled extensively in Mexico, I've rarely seen anyone but a Mariachi wearing a sombrero. The menu reveals that I was about right on cost, though in overall consideration it seems a fair cost-to-quality ratio. 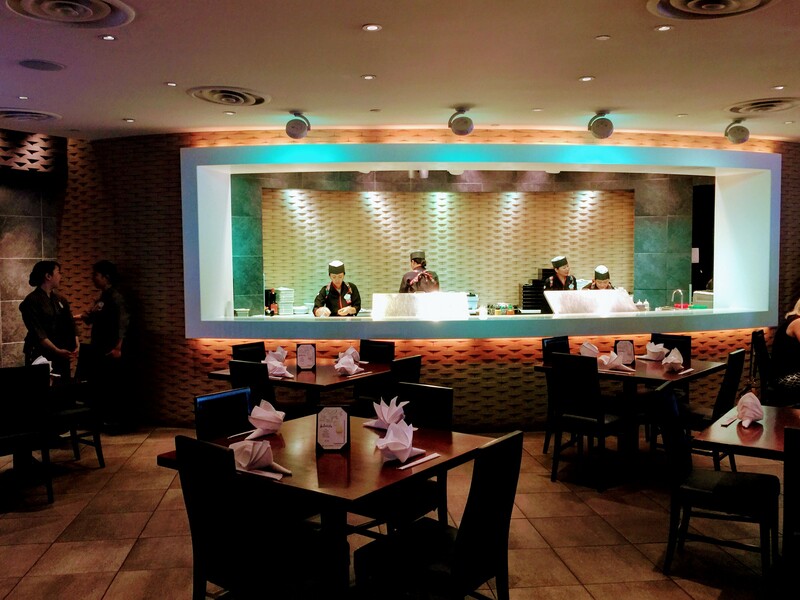 This is excellent sushi, if conventional and somewhat Americanized I imagine. 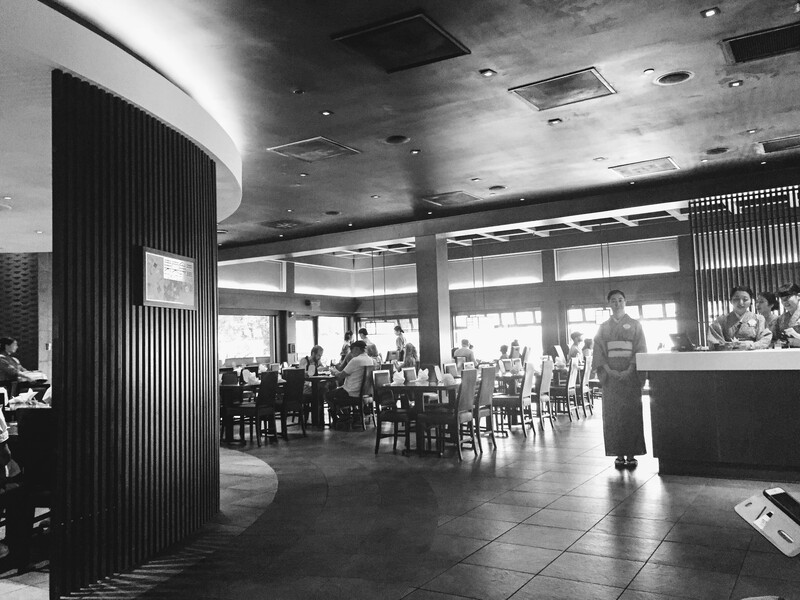 I do hold my expectations high for a people so enamored with food that they introduced me to the fifth taste, umami. Until 1985, the only scientifically recognized tastes were sweet, sour, salt and bitter. If you've read my reviews before, you know I am on a constant search for umami—or savory. 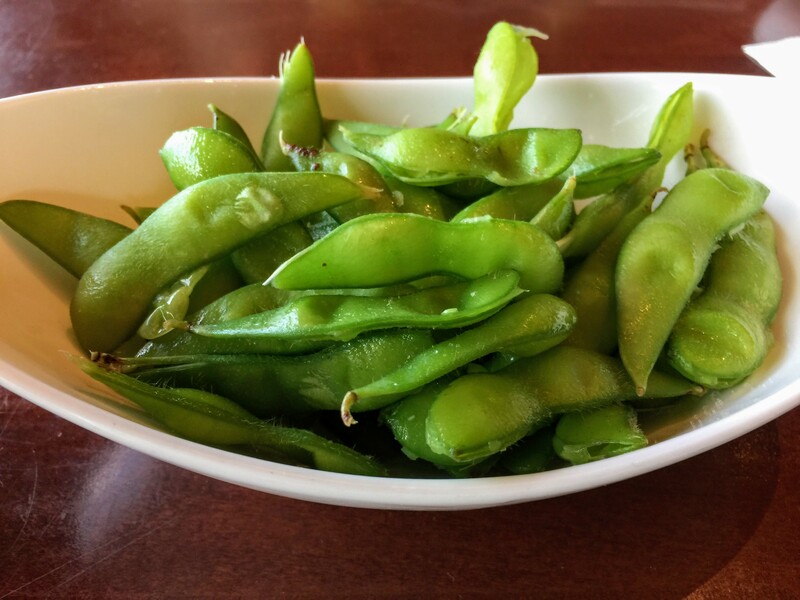 Edamame (young soy bean pods served chilled): Now I'm being picky, but I like my edamame warm. 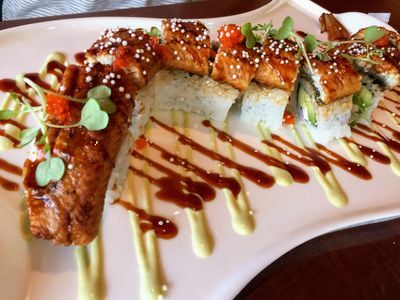 Dragon Monster Roll (avocado, cucumber, and cream cheese topped with eel, smelt roe, micro green, and Dynamite sauce): Of course, the reason sushi is so expensive is the direct correlation of quality fish and ingredients to the quality of the dish. Could not have asked for more. A symphony of flavors, textures and enjoyment in each piece. Spicy Crunchy Roll (tuna and Salmon mix, topped with tempura crunch, Dynamite and Volcano drizzle): The tempura gave some much needed crispness to this soft roll. The Dynamite and Volcano drizzle kept the flavors interesting, though it seemed a little lackluster in comparison to the Dragon Monster roll. 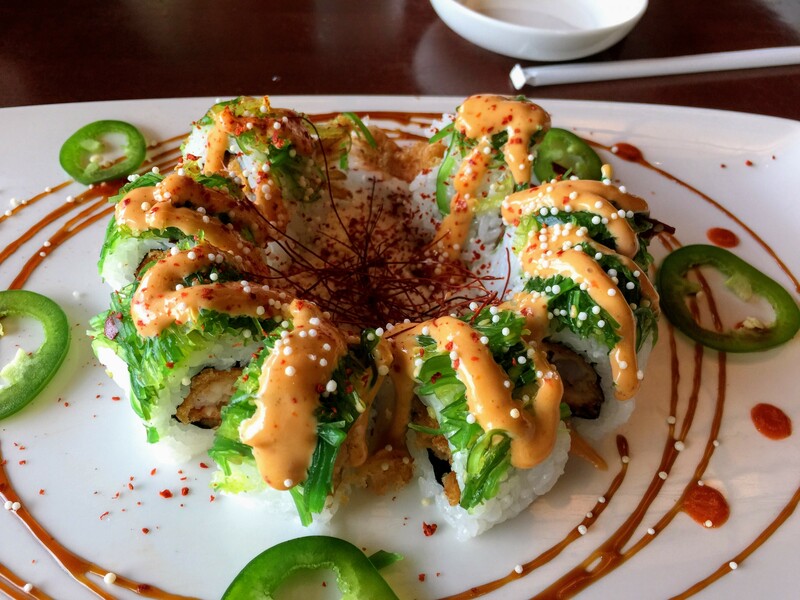 Fire Cracker Roll (tempura shrimp roll with wakame salad and jalapeno finished with eel sauce, shredded red pepper, and sriracha drizzle): I always feel a little silly ordering cooked shrimp in my rolls. It's so safe it can be pedestrian, and lack of culinary adventure is no way to go through life. Like the Dragon Monster, there are so many interacting flavors and layers of different textures that it feels a symphony in each bite. The wakame salad, and jalapenos procured from the plate give a yielding crunch that differs from the tempura crunch and the popping of the unnamed small white orbs, thus careful reflection on the sounds of each bite can be symphonic. The umami of the cooked shrimp is subtle, but seemingly intentional as the outside of the roll is a minefield of flavor profiles. Mango Mochi: For dessert we stepped outside the restaurant and purchased mochi balls from the street vendor—they have them in a freezer. 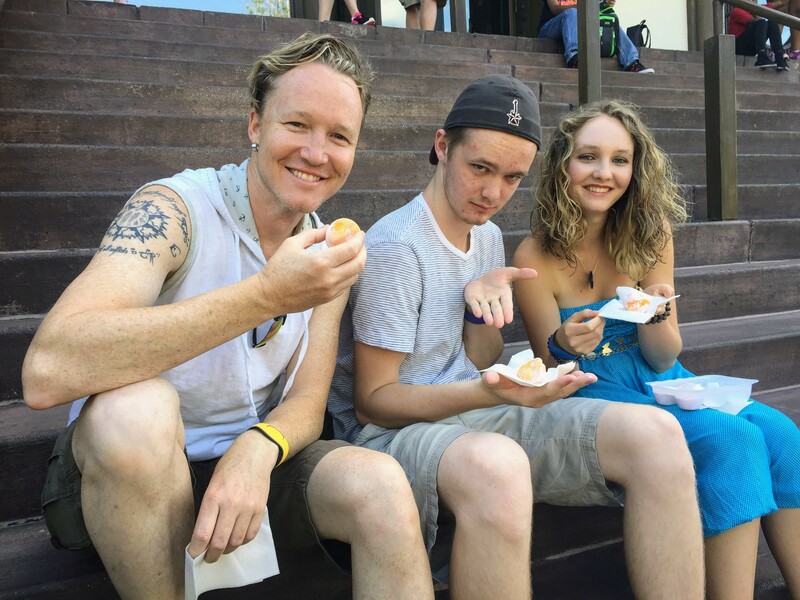 Sorbet in a rice dumpling, they are almost too good on a hot day to be believed. Sweet, but not too sweet. Soft, but not too soft. They come in a number of flavors, all of which have tasted delicious. 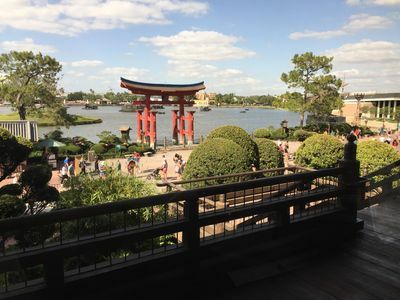 For extra credit, reclimb the stairs and enjoy your treat overlooking all of Epcot's Japan. Dad (43): 5 of 5—Not only is this a meal on par with anything at Epcot, something that doesn't make me full to weighted down stuffed, the view is unrelentingly beautiful and the service is otherworldly. It just simply does not get better in Epcot, this is truly a multidimensional restaurant. 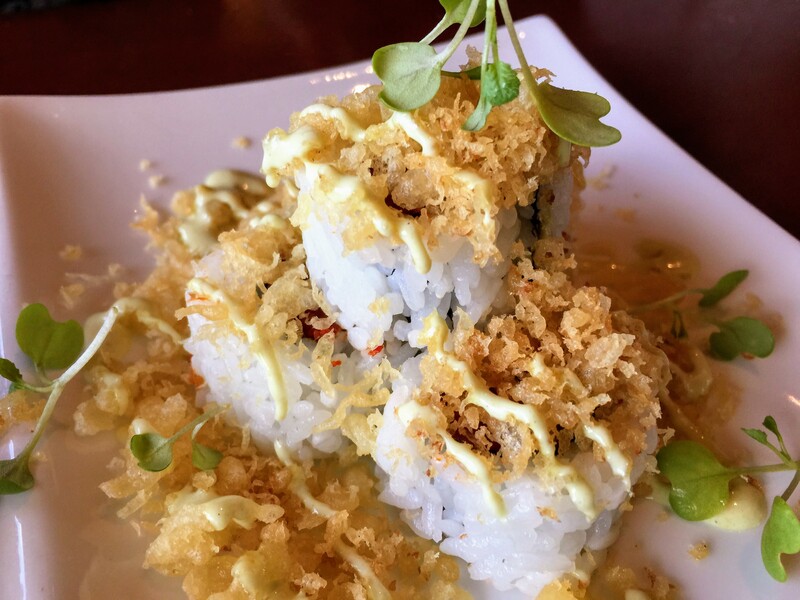 Mom (43): 4.9 of 5—I love sushi. This was as good as I have had, even though the selection is not as varied as most restaurants. Daughter (20): 5 of 5—I love everything in Japan. Remember to save room for Mochi! !